1. Donate. The amount you contribute is up to you. Whether you can donate $100, $1000 or $10,000, your donation will help us toward our goal. 2. Share, Like, Tweet. You can help us raise a lot more money by sharing through your social media channels. This major upgrade will improve the user experience, increase utility, and improve its data mining capability which is so important to law enforcement. • More powerful reporting capabilities that, among other uses, can provide law enforcement with data they need quickly. RENTAL GUARD collects and disseminates information about how thefts occur in real time, which offers hundreds of users, around the globe, the opportunity to incorporate it into staff training, procedures and security. It has increased the ability of law enforcement to take action. It has brought stakeholders together. 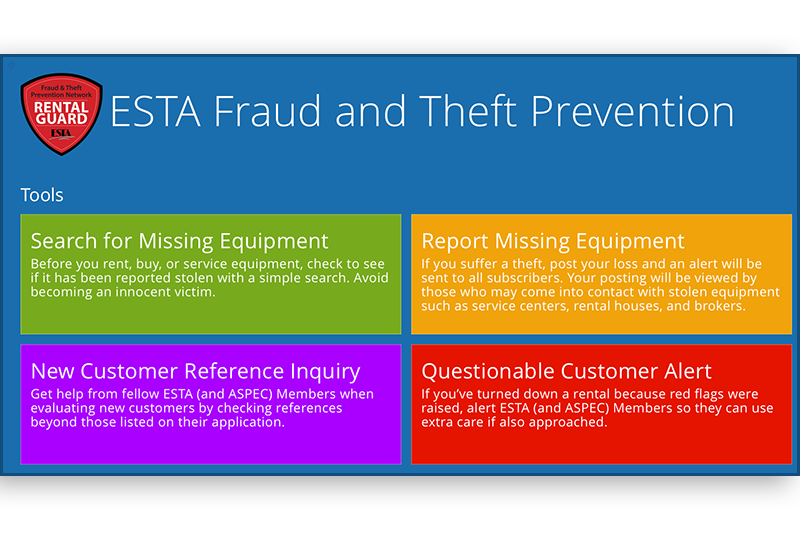 The Digest of Fraud and Theft Prevention Measures leverages our industry’s collective knowledge to provide a new resource for rental houses. 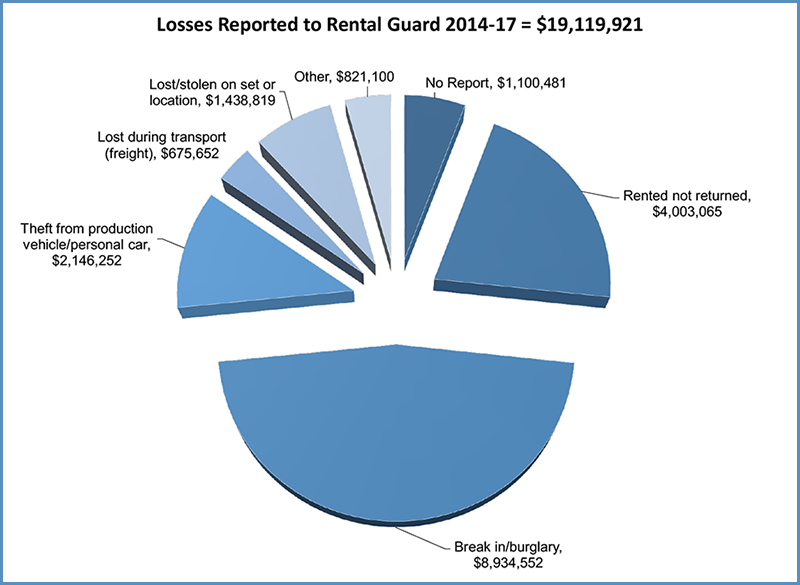 Informed by real-world, industry-specific incidents collected by RENTAL GUARD from 182 thefts since 2014, ESTA developed the Digest with input from rental houses, law enforcement, insurance underwriters and brokers, and security experts. The document describes procedures and security measures that have been found effective. It is intended to help rental houses consider potential security weaknesses, train rental house staff, and respond in the event equipment is stolen. You’ll receive the 2017 Digest as our gift with any donation of $100 to support RENTAL GUARD v2.0. Donors of $1,000 or more will have their name listed on the RENTAL GUARD homepage. The ESTA Production Equipment Rental Group (PERG) is the special interest group within ESTA that developed RENTAL GUARD. PERG's members are primarily professional rental companies that supply cameras, grip and lighting equipment to support productions in the motion picture, television and commercial production markets. PERG’s mission is to shine a light on the challenges and opportunities faced by professional rental companies. It focuses the collective expertise of its members to shape solutions that best serve us all. PERG strives to be the voice of the motion picture equipment rental industry and set a standard of operations and ethical behavior. We invite all professional rental houses to join our organization and enjoy the benefits of membership—events, initiatives, networking opportunities and programs. Your membership is crucial to supporting efforts like RENTAL GUARD. Click HERE to view our membership categories or download the membership application. Contribute $100 or more and receive, as our gift, the 2017 Digest of Fraud and Theft Prevention Measures. Thanks for providing this valuable resource.